So I said I wasn't going to write about my Tea pigs* sample but I decided I am. I've just got round to trying it. It is a super cold day and I needed something to warm me up a little but I didn't want caffeine. 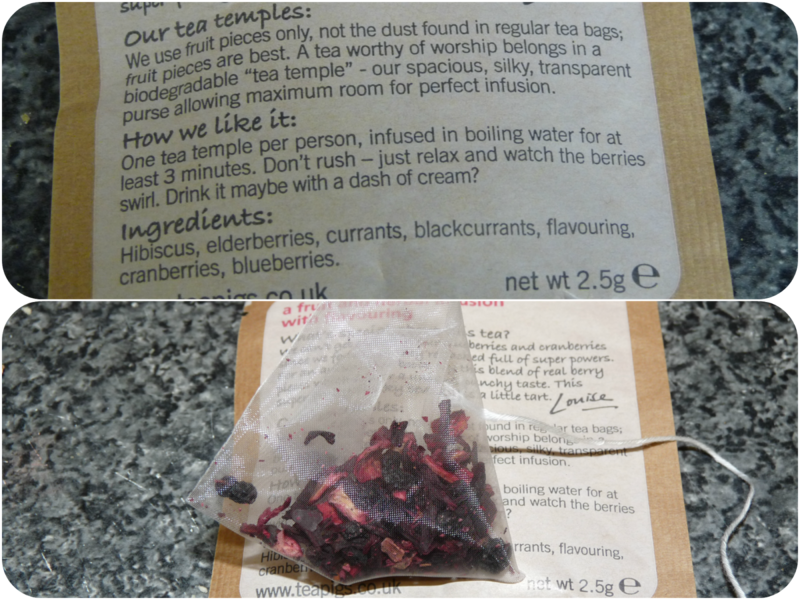 I've never been a fan of 'normal' tea, it used to make me ill when I was younger and now it just makes me bloated but TeaPigs doesn't do that to me at all. Ingredients, how to make the tea and the temple. I really enjoyed this flavour, the smell is amazing, at first I wasn't sure if I liked it or not as it was so strong but it grows on you. I was expecting it to be a little sweeter than it was so I added a tea spoon of sugar and it was perfect! I highly recommend this flavour. Love your Hello Kitty mug! Hehe.